The owner of Aurum Holdings, Britain’s biggest watch and jewelry group, has been meeting with investment bankers as it looks again at a public listing, according to a report by Sky News city editor Mark Kleinman. The group, which is owned by New York-based Apollo Global Management, has made no secret of its plans to find a buyer or go public in recent years. The latest rumor is that it is looking at an IPO in either London or Zurich next year. 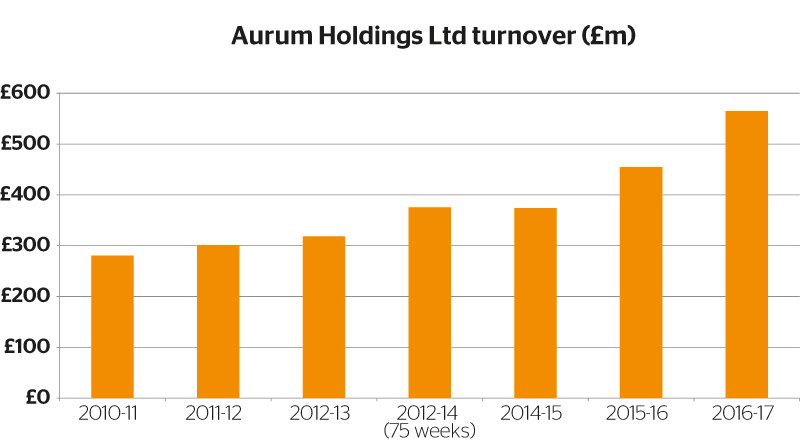 The most recent accounts published in the UK show Aurum Holdings sales rose 24.4% to £566 million ($792m) in 2016-17, and operating profit rose by 174.2% to £17.2 million ($24m). Buying Mayor’s gave Aurum Holdings a significant platform for growth in the United States. Along with a chain of 17 prestige jewellers in Florida and Georgia, most of which have Rolex, Mayor’s also acquired a headquarters and modern logisitics hub.